Myth, Manners and Memory: Photographers of the American South presented the work of several American photographers who photographed aspects of the American South, a place sometimes described as the ‘dark underbellyof a nation’. I present here my favourite photographs from the show. Once more, I realize I am drawn to photographs with a cinematic feel about them. Walker Evans took many documentary photographs commissioned by official government organisations. This image was not in the show but I like it. I could not find this image on the internet: ‘Walker Evans, View taken from train between Memphis, Tennessee and Forest City, Arkansas.’ Though rather unspectacular, this photograph grabbed me because it evoked newspaper photographs of the Katrina floods when I first looked at it. 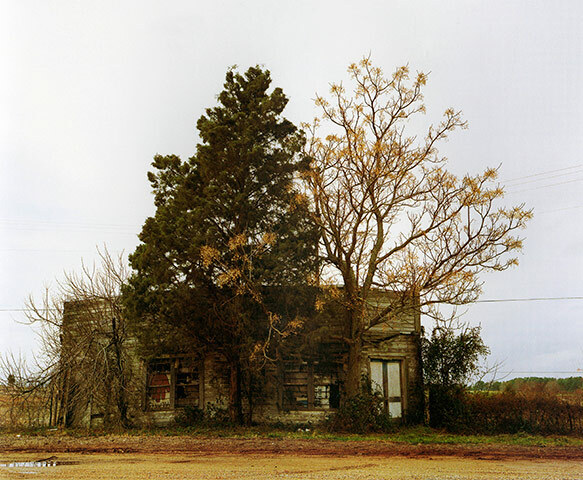 William Christenberry, who worked with Evans, takes interesting photographs of derelict buildings. 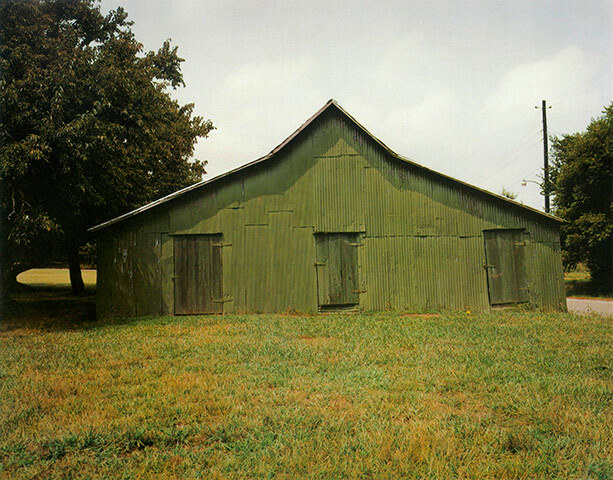 William Christenberry – Green Warehouse, 1978. 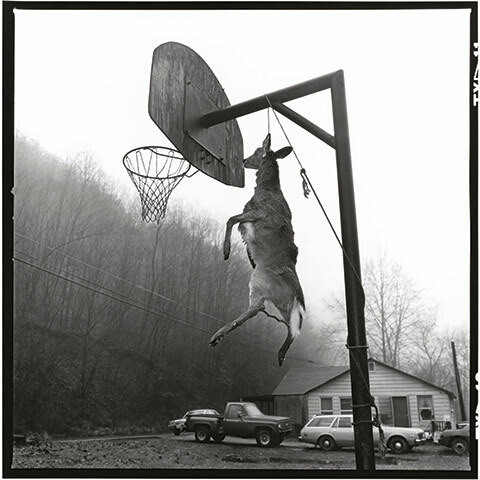 Susan Lipper shot her ‘From the Grapevines’ series in the remote villages and rural communities of the Appalachian mountains. The people and places are real, but the scenes are stages, giving an ambiguous edge to the photographs: is it documentary or scornful stereotypes imported by the outsider visitor? 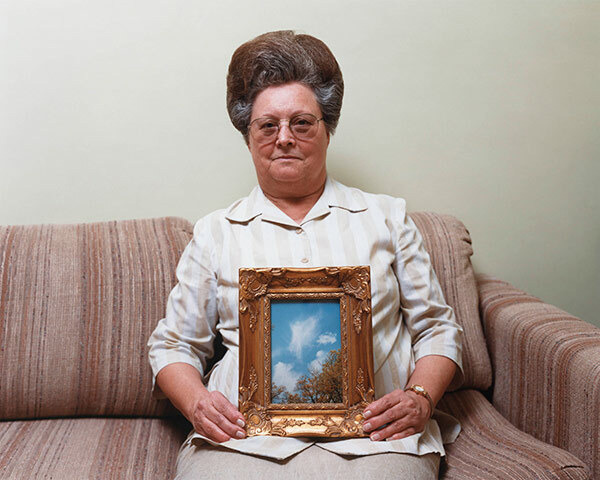 William Eggleston’s takes photographs while on long road trips. 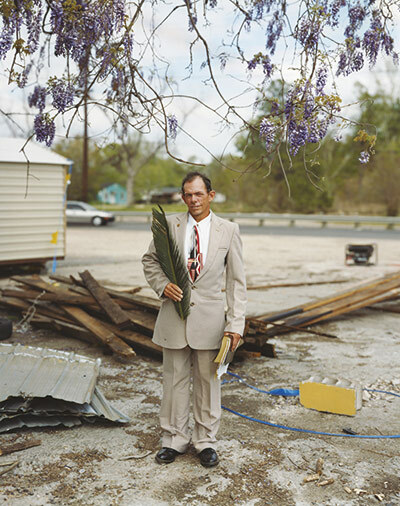 His photographs often look like outtakes from a road movies, and have a distinct ‘Southern Gothic’ edge about them. 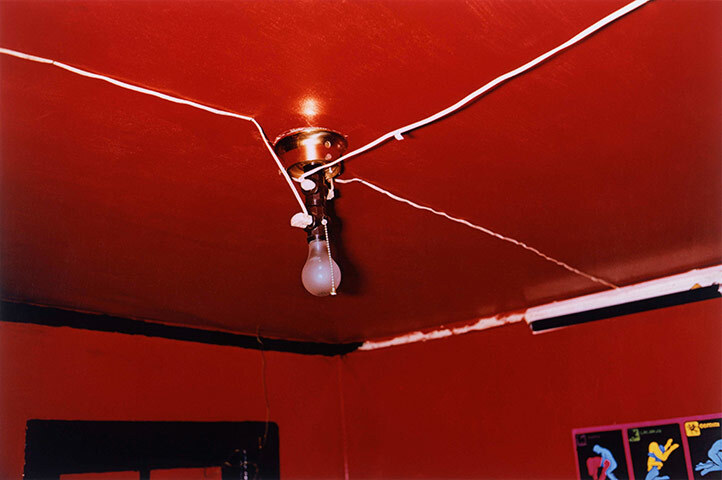 William Eggleston, Red Ceiling, Greenwood, Mississippi. William Eggleston, Untitled (Morton, Mississippi), 1970. Alec Soth also shoot his ‘Sleeping by the Mississippi’ series on a road trip southwards along the Mississippi. 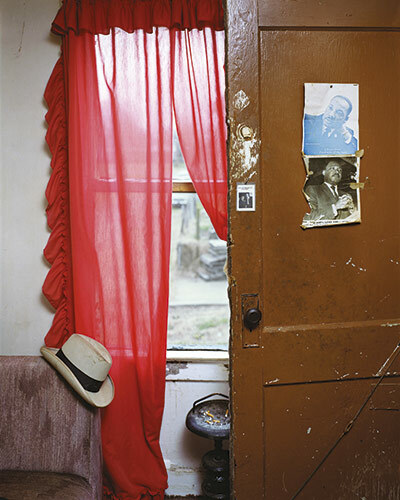 Alec Soth – Bible study book (Prophet in the Wilderness), Vicksburg, Mississipi, 2002. Next PostNext Ghost House video at Electrofringe Festival, Australia.